A famous movie wizard once said "a wizard is never late, nor is he early, he arrives precisely when he means to." 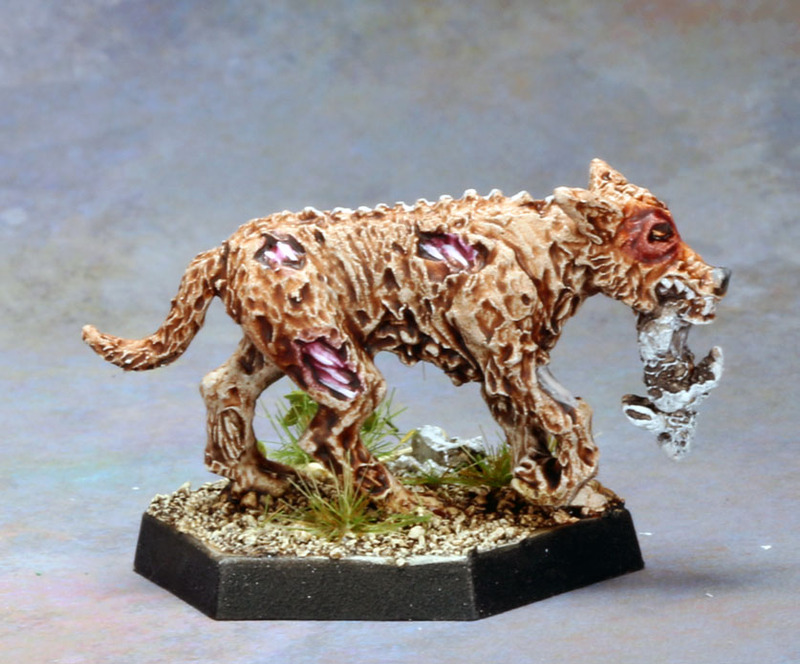 Sadly, I am not a wizard and, as a result, I am late with this blog post! 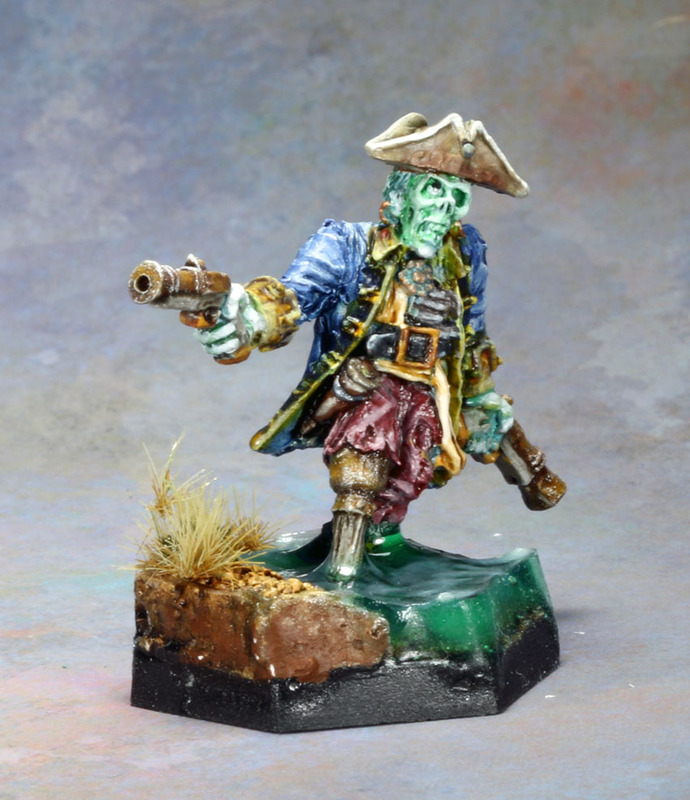 This week, I've got more of the excellent zombies from Upstream Games House and sculpted by Kev Adams. Called Limpin' Jimmy by the crew of the Woebegone, unfriendly port authorities, and seaside doxies half the world, Jimmy was a dead-eye shot with his pistols, a deft hand with powder measures, and useless on the assault on account of his wooden leg. Limpin' Jimmy is pretty much my ode to the villains of Scooby Doo. From the moment I started thinking about how I wanted to paint him, I zeroed in on the camp nature of this zombie pirate and how much it reminded me of the "supernatural" horrors that Scooby Doo and the gang would unmask every episode. Now, the antagonists were not always animated in the same way, but a common theme was that many of them had a "glow" effect in the cartoon. So I wanted to reproduce that glow here. So to begin with, I painted the flesh Ulthuan Grey followed by thinned washes of Nighthaunt Gloom and Hexwraith Flame. Then I highlighted with Ulthuan Grey and mixed in white over successive layers. The rest of the model was painted with faded colors to give a suitable zombie look. Finally, I felt like a pirate should be near water, so I taped up the side of the base and pored several separate layers of Woodland Scenic Water mixed with green ink. As I write this, I think I might go back and add some sea weed draped over him too. Byrin fon Karr-Keel may have built his city with the wealth he'd accumulated from the Ye Olde Combatte Burgers restaurant chain, but it was much more than a company town. Karr-Keel was treasure of imperial culture, a center for the arts. Throughout the city, enterprising individuals could find all manner of entertainment... high, low, and all across the broad spectrum in between. And, nowhere was that lusty freedom of recreation seen more than in the arenas, racetracks, giant-baiting pits, and other less savory sporting venues scattered throughout the city. The Necroburgher's curse spared none of this, and the shambling undead of Karr-Keel count in their number a wide variety of athletes, monstrosities, and animals. 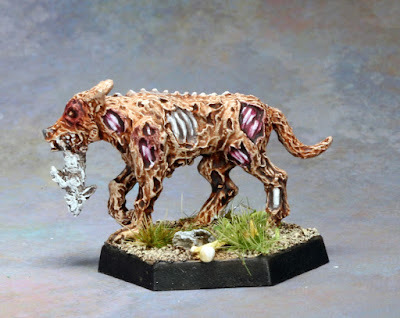 Daisy, a champion racing dog in life, now wanders the ruins of Karr-Keel for all eternity, chasing after zombie rabbits and savoring the broken memory of well-earned kibbles. Old Daisy was a heck of a fun model to paint. Not a lot to say about how I did it, mostly browns and greys and lots of washes. But she was a nice break from painting more traditional models. The poor girl does look like she needs her oomin['s brains] though! 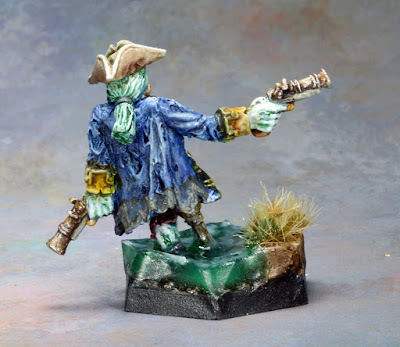 What a great minis and painting work! Lol, I worry for Kev Adams' sanity based on some of the scary stuff he's sculpted in this range! 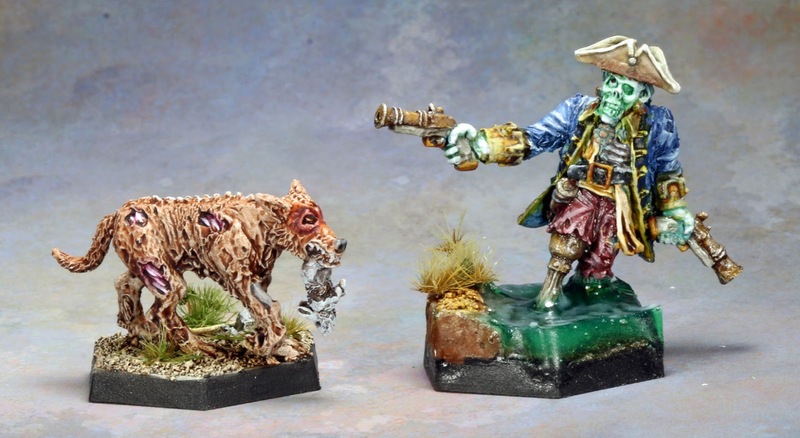 Both these figures are great, but the pirate coming ashore is off the hook! You certainly have a lovely style on these Zombies. That pirate's base is amazing.